One of the biggest differences between feeding children in the first and second decade of childhood is how much time we spend teaching them. 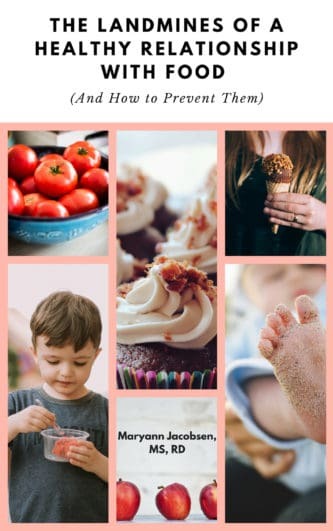 Much of what little ones learn about food come from everyday events – structure, food offerings and autonomy within that structure. But as kids reach double digits, teaching plays a much bigger role in feeding them then it did previously. 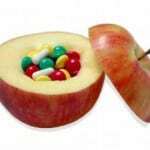 Problem is, no one teaches parents how to be effective teachers when it comes to food, nutrition and body image. It’s so easy to just throw your hands up and give up. But with the right tools, teaching kids can be rewarding and effective. 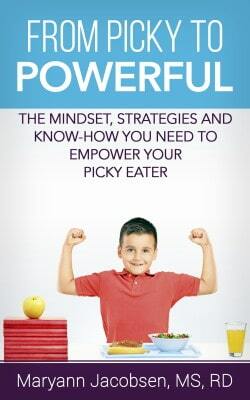 So we are moving on from what children need during the pubertal growth spurt, to helping them take responsibility and learn positive eating habits. Who hasn’t had a favorite teacher who transformed the way you thought about a subject? For me, it was my college physiology professor. He not only made human physiology interesting and personally relevant (we all have bodies, right? ), he made it simple. Not only did I easily get an A, for a millisecond I considered medical school! One mistake we all make is that we try to push our reasons for nutrition and health onto our kids instead of helping them– and giving them room — to discover their own. One key is to tune into their areas of interest instead of lecturing. For example, when a child asks a nutrition-related question, he is showing interest and it’s a great opportunity to elaborate. 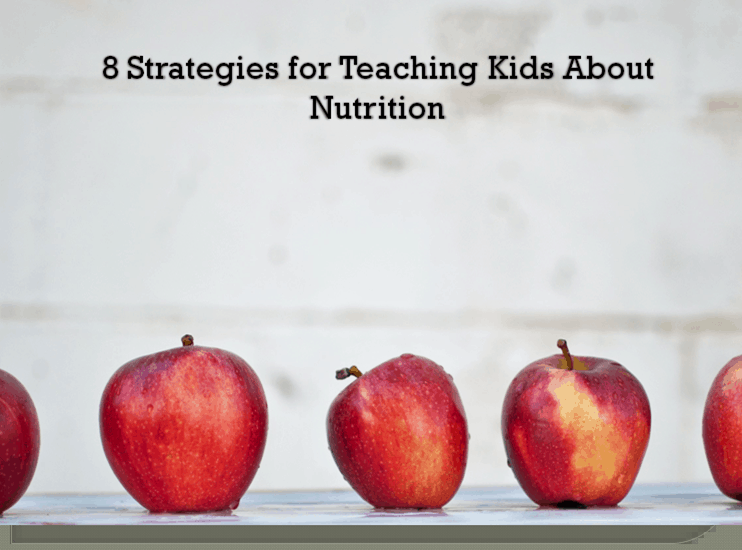 It’s also about helping children see how the important aspects of their life — activities they enjoy and that are meaningful to them — are impacted by nutrition. One survey found that kids are much more interested in the present benefits of feeling and looking good, clear skin, and improving sports performance. 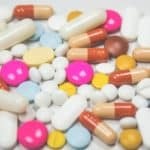 They are not concerned with preventing something that could happen down the line like getting diabetes or osteoporosis. 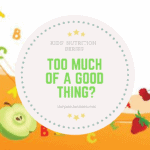 Also, taste is number one for children of all ages, so meal satisfaction needs to go hand in hand with considerations of nutrition. 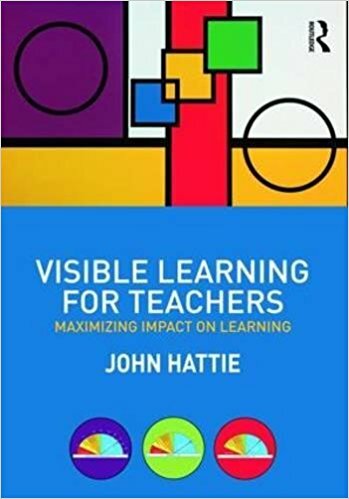 Professor John Hattie, creator and author of Visible Learning, researches various influences on learning to figure out what works best for education. And direct instruction is one of many factors that has a significant impact on learning. Although you don’t want to lecture, directly instructing kids plays an important role in nutrition education during puberty. Because without a base of knowledge of what kids need, it’s difficult to apply and critically think about it. But how you present the information can make the difference between whether they gloss it over or actually listen. Instead of talking about healthy and unhealthy choices, make the focus the care and feeding of their amazing body. Go through the nutrition from head to toe and ask them to consider nutrition along with taste when making food choices. 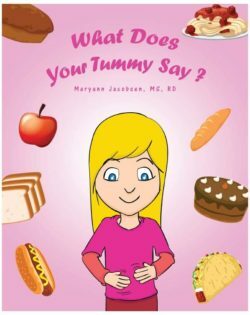 Encourage them to notice how food or combinations of food make their body feel, gives them energy or leaves them depleted. Most importantly, encourage them to become the expert on their body. An important part of direct instruction is practice. As kids get better at a skill by practicing it, they develop confidence. Allowing “food choice autonomy” guards against defensiveness. One safe way to do this is to stock the kitchen with quality food, and allow them to make certain meals and snacks. Maybe start with one snack, showing them how to do it and then moving to certain meals like lunch on the weekend. The goal is to challenge them just enough. If they feel too challenged, they’ll want to give up but if it’s too easy they aren’t learning. 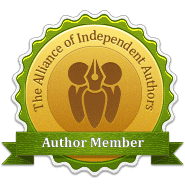 Just be sure to maintain structure/limits as Jill Castle writes in her “the kitchen is closed” post. I will be developing some materials to help this practice. Don’t miss Real Mom Nutrition’s lunch-making guide for school. Researchers from the University of Minnesota looked at three aspects of adolescent eating/feeding to find which had the greatest effect on fruit and vegetable intake. Out of parent modeling, restriction and availability, availability of fruits and vegetables in the home had the greatest impact on fruit and vegetable intake in children. Simply having easy access to fruits and vegetables can be a powerful way to increase consumption without having to do or say a thing. Teachers know that hands-on learning and projects are a great way to help children learn and stroke desire (#1). 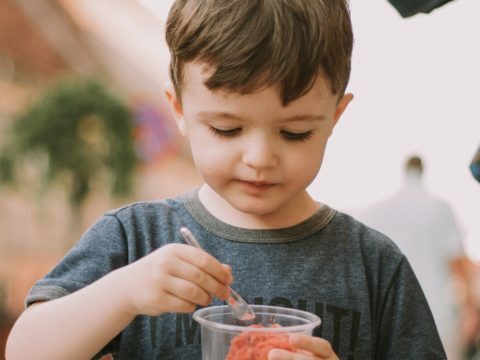 Research supports the idea that experiential or hands-on learning is an especially effective way to increase nutrition knowledge and a preference for a variety of food. This type of project-based learning typically involves meal planning, shopping, and cooking. A 2016 study examining the frequency of preparing food for the family found that adolescents who were more active in food preparation had better markers on diet quality. This agrees with other studies with kids at a variety of ages. I know this can be tough for busy families and children can be resistant. 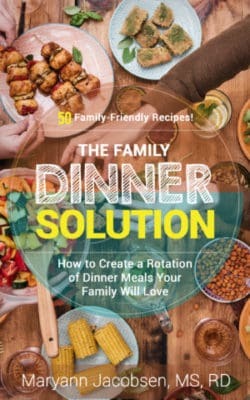 But establishing routines, dedicating one night a week (or month) to being a kid cook night, and encouraging children to make what they like can get the ball rolling. Take advantage of services that do all the work for you (except the cooking part) like Raddish Kids and Kids Cook Real Food E-Course. According to John Hattie’s work, providing feedback doubles the rate of learning. Consider the child going to piano lessons, getting instant feedback the second her fingers go where they shouldn’t. Same goes for food and nutrition. But you may have noticed, children can get a tad bit defensive when you try to give them feedback. That’s why you want to be thoughtful about how you offer feedback. In the table below I list some key considerations when offering feedback such as timing, encouraging, and stressing values. How you handle feedback will also depend on your child. Giving feedback at meals can turn some children off and feel a lot like pressure. But for some kids, a reminder at meals may be helpful. Older children will notice if you do as you say and if you don’t, they’ll be less likely to take your advice. John Hattie calls this “teacher credibility” and it has a big impact on learning. One way to increase your credibility if you feel it’s lacking is to show them how to overcome obstacles. So instead of hiding a challenge, be honest with your child and take action together. If cooking is an area you need to work on, consider taking a class with your child or go hunting for recipes on YouTube. Or if it’s exercise you need help with, consider going for bike rides on the weekend together. Show them you have a growth mindset about your own health and they’ll be more likely to develop one too. 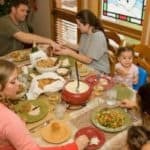 Another way to maintain credibly is to make family meals a priority. After all, eating together as a family is consistently related to better diets among children and adolescents. It’s also one of the best teaching tools you could ask for. 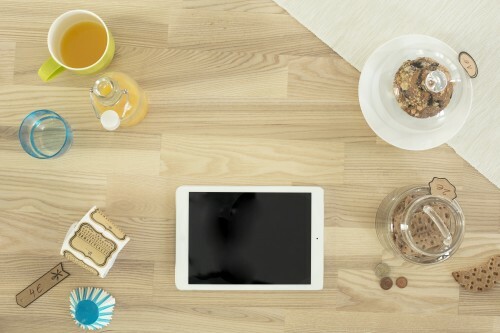 There are more ways than ever for children to consume media today than years past. According to a 2017 report by Ofcom, 95% of 8-11-year-olds watch TV for 14 hours a week while 91% of 12-15-year-olds do. Ninety-four percent of 8-11-year-olds go online for 13.5 hours a week while 99% of 12-15-year-olds go online for 21 hours a week. And 23% of 8-11-year-olds have a social media profiles which jump to 74% at 12-to-15 years of age. NAMLE recommends parents consume media with their children. Watch a TV show together on a regular basis and periodically join them while they enjoy YouTube. Ask questions about advertising and messages and encourage them to do the same: How is this made? Do I know it’s true? Who will benefit from this message? Who might be harmed by this message? For more info download and read NAMLE’s Building Healthy Relationships with Media. 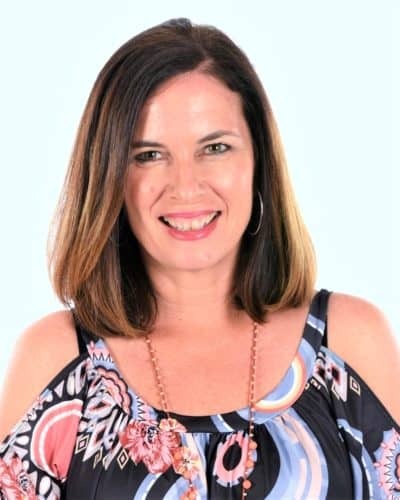 With media images, it’s important that children understand how much work goes into making people look perfect such as makeup, hair, and photo-shopping. Get the conversation going about unrealistic media images and the intent behind them (to sell you something!). Here are tips on how to talk to your child about body image from Media Smarts. Another site called Media Smart (without the “s”) has parent and teacher resources too (and great videos to watch). Hattie’s research shows that importance of a positive teacher-student relationship in learning. 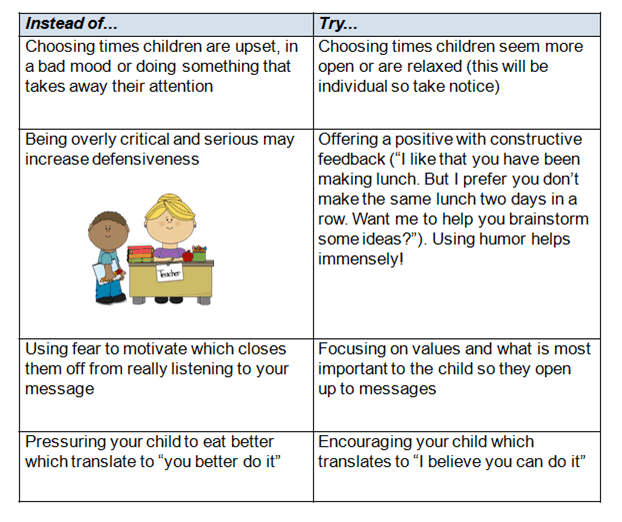 It also shows the difference between a cooperative child and a child wanting to run from whatever we say and do. In one international study, a better teacher-student relationship reduced problem behaviors for up to four years. Most importantly, all the aforementioned strategies help parents in providing a supportive environment where real learning can take place. You may find your child coming to you more often for your feedback on what they heard a friend say or something they saw online. And that’s when you’ll know they have embraced you as their teacher. Got a suggestion for resources to help you educate your kids? Leave them in the comments.